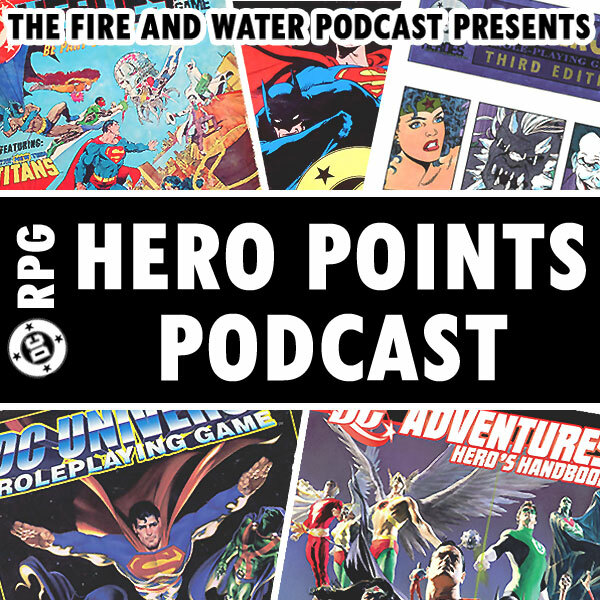 The third episode of our HERO POINTS podcast is now available — the show that tackles role-playing games set in the DC Universe! 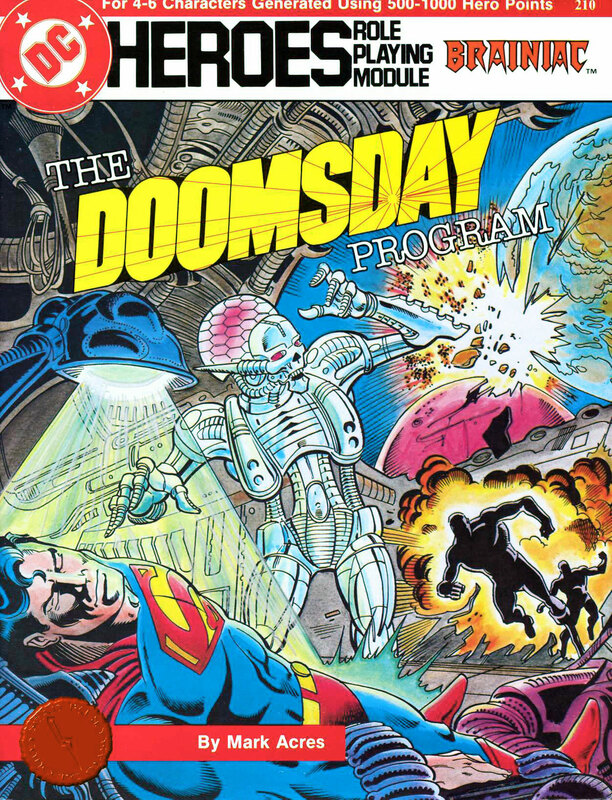 This time around Shag and Siskoid chat about favorite introductory adventure modules! 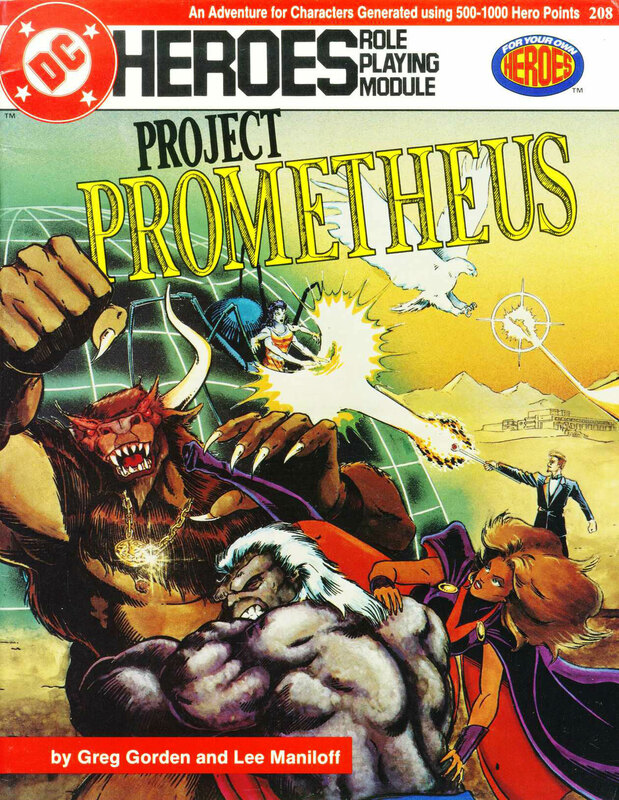 We recap and discuss Mayfair Games “Project Prometheus” and “The Doomsday Program”. Finally, we wrap up the show with your Listener Feedback! Find the third episode of DC RPG: THE HERO POINTS PODCAST on iTunes. Each episode is released as part of THE FIRE AND WATER PODCAST feed. While you’re on iTunes, please drop us a review. Alternatively, you may download the podcast by right-clicking here, choosing “Save Target/Link As”, and selecting a location on your computer to save the file (86 MB). Thanks for listening! Support DC Comics Role-playing Games! Let’s Roll! Posted in: Hero Points Podcast, Podcast, RPGs. Love these shows as I was a big DC RPG player during college. We had 2 teams going and depended on moods, played one vs the other. One was a more JLA style team (where I played Wildfire) and the other was a street level one where I played Constantine. We never really used modules as the Dungeon Master (I know, but that’s what we called him) liked writing his own stories. We did have a few hanging around to just sort of expand what we knew about the game. Look forward to hearing more and hope the Legion stuff gets covered at some point! So you decided to get the annual episode out of the way right out of the gate, huh? Smart move! I never had any of the adventure modules. As I mentioned two years ago, I tried to get a gaming session going with my friends, and we never made it out of the set-up, as Shag described. I believe it was the Titans adventure that came in the game box itself. I remember seeing the modules at the first comic shop I ever visited, The Comic Connection in Lexington, KY, and being REALLY tempted by them, even though I knew I wouldn’t find anyone who would devote time to playing them. Man, I sound pathetic! The amorphous state of DC’s continuity in the immediate Post-Crisis era is really showing here. Not only do we have Brainiac and his skull-ship moments before they will be wiped from continuity (for a bit, anyway), but you have Bug-Eyed Bandit, who died in the Crisis! That’s a bit of a slip-up, but maybe these things were in development longer than we thought? Anyway, fun episode, and I look forward to next year’s offering! Great episode guys! As much as I’d like to hear more of these, more frequently, any talk of DC RPG is worth the wait! Looking at my schedule and I just realized I only have eleven months to leave feedback before the next episode! Oh, on a more serious note, the new STAR WARS roleplaying game by Fantasy Flight Games has been publishing a ton of pre-generated adventure modules for its Star Wars games. The first time I played this game, I forced myself into my older brother’s group of friends and made a character called Midas. He had a yellow cape and a magic wand that could turn any door into a teleporter. The first time I used him, the GM had him teleported to a world with no doors where he was the only living thing. That was a smart GM. I learned early on that if I wanted to play, I’d have to get my own friends interested in it. That meant I was always the GM. I did have a character that I used often as a sort of guide to get my players to go in “the right direction.” They often went off the track I had planned and I had to scramble to come up with a way to get them back. The character I most often used was Quantum Man. He was a product of the same experiment that gave Captain Atom his powers but was much less powerful. One of the things we liked to do was a game we called “War World.” We’d shuffle the deck of pre-printed character cards that came with the game and then fight one hero/villain at a time. It was great fun when we pulled up a Penguin or a Robin but not so easy when we drew Superman or Darkseid. This podcast makes me miss those days of staying up all night eating Doritos, drinking Coke, and playing DC Heroes at my buddy’s house. Oh, to be 13 again.